This batter is made up of rice and lentils and can be used to make soft steamed rice patties or crispy crepes. You can store the batter in your fridge for about a week or in the freezer for about a month. Use the batter to make idlis the first couple days, then use the batter to make crispy dosas or savory “pancakes” the rest of the week. One note, be sure to use rice that is labeled “Idli rice” when making this recipe. Idli rice is short grain parboiled rice and can be easily found at any Indian grocery store or on Amazon. To prepare the batter, soak the rice in a bowl of cold water for 5-6 hours. In a separate bowl, add the whole skinless black lentils (urad dal) and fenugreek seeds and soak in cold water for 5-6 hours. Drain the water. Put the drained rice in a blender and slowly pour in 1 cup of cold water while blending. Blend until the rice is mostly smooth. Pour this into the steel pot. Add the drained urad dal and methi seeds to the blender and slowly pour the in remaining 1 cup of cold water while blending. Blend until the dal is a fluffy, almost foam-like consistency. Pour this into the steel inner pot. Mix the blended rice and dal together. Press the yogurt button and set the time to 12 hours on normal mode. Secure the lid. You can close the valve or leave it open as it does not matter in this case. Once the time is up, the batter should have doubled in size and look light and airy. Gently fold the salt into the batter. Store the batter in the fridge for up to a week, or keep it in the freezer for up to a month. 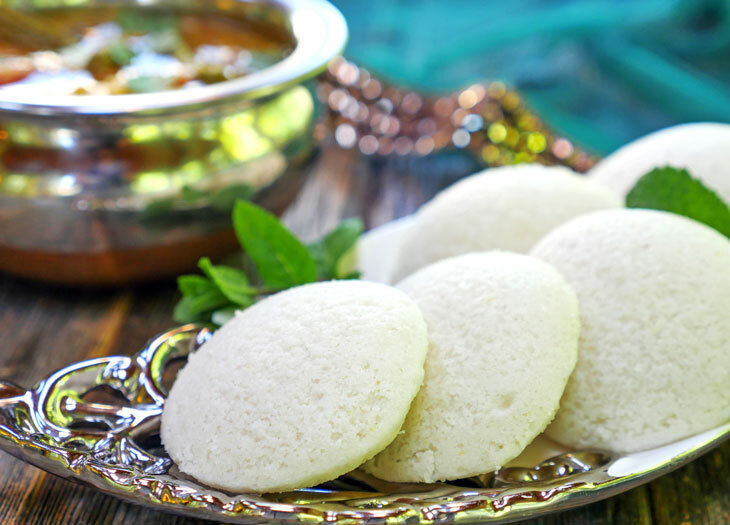 To make idlis, spoon the fermented batter into a greased idli mold. Place 2 cups of water into the steel inner pot of the Instant Pot, then place the idli mold inside. Secure the lid, close the pressure valve and cook for 1 minute at high pressure (the idlis will cook while the machine builds pressure). To make dosa, pour 1 cup of idli/dosa batter into a bowl along with 1 tablespoon of besan/chickpea flour and 1 teaspoon of sugar. Mix until well combined. Slowly add 1 tablespoon of water at a time until the batter is slightly runny (you may need 3-4 tablespoons of water total). Heat a well-seasoned or non-stick crepe pan over high heat, then ladle the batter onto the pan and spread it around the pan slowly. 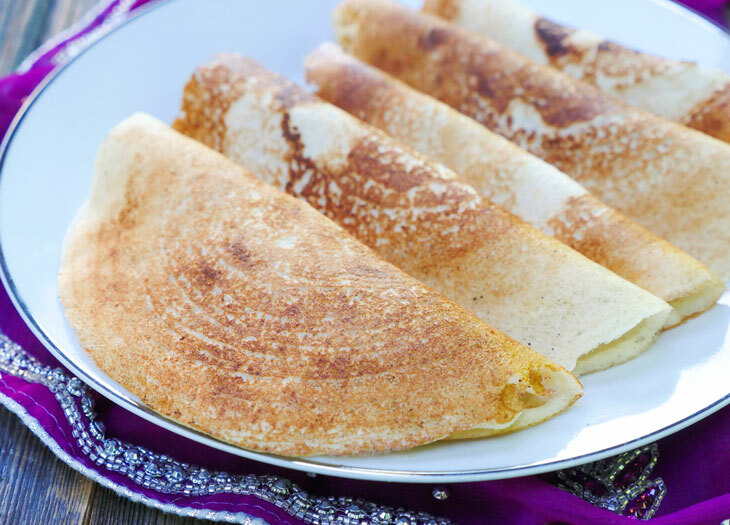 The edges of the dosa will lift from the pan when the bottom side is done. Sprinkle a few drops of oil on top of the bread, then flip the dosa over to cook the other side for 30 seconds. Soak the rice and lentils in the morning so you can prepare the batter in the evening and allow it to ferment overnight. 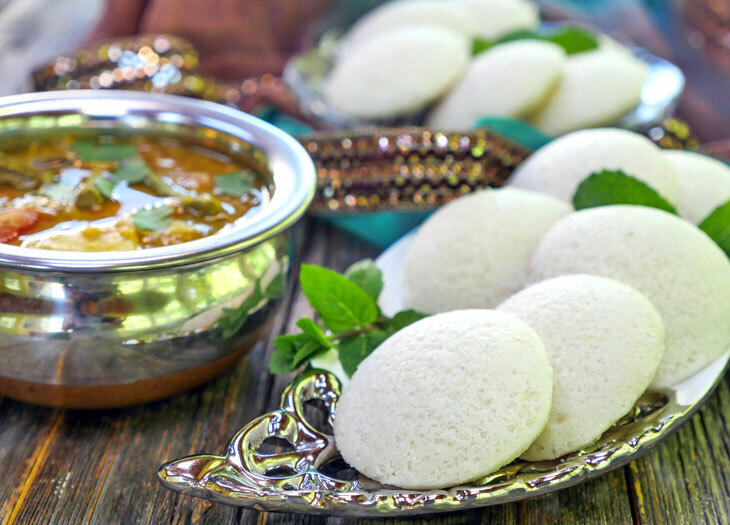 If you’re wondering where to buy an idli mold: you can typically find an idli mold at your local Indian grocery store – I suggest calling ahead to make sure they have them in stock. I also found this idli mold available on amazon – according to reviews it appears that it will fit a 6 quart. Sometimes I’ll add golden raisins and cashews right into the idli mold with the batter – this makes for sweeter idli with a bit more texture! My hubby enjoys eating these with ghee and sugar.